An important initiative aimed at addressing and understanding the state of youth unemployment in South Africa was recently launched at Don Bosco Educational Centre in Ennerdale, Johannesburg. 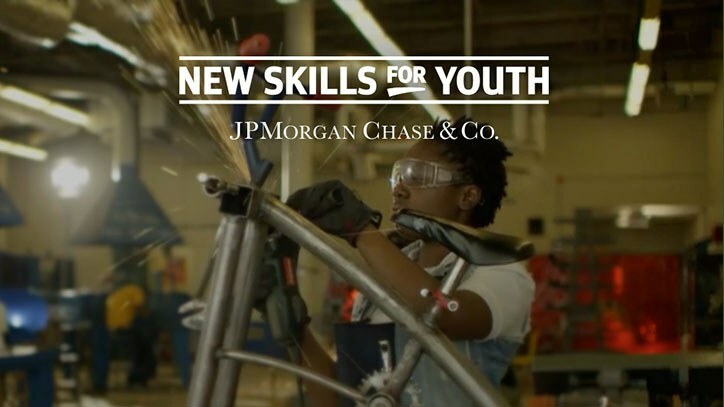 The New Skills for Youth (NSFY) programme is a $75 million, five-year, global initiative by J.P. Morgan designed to empower young people to acquire the education and credentials they need to be career-ready for and succeed in well-paying jobs. The programme envisages benefiting 1,000 young people. South Africa is one of the first countries to inaugurate an innovation site for the global NSFY initiative. The NSFY launch saw the establishment of the first South African site where the NSFY’s programme of simulated workplace-based learning will be offered. Lessons from this innovation site will be used to inform other local and international youth employment creation initiatives. Supported by J.P. Morgan, in collaboration with JET Education Services, the Catholic Institute of Education and the MSC Artisan Academy, new training programmes in renewable energy, baking, merchandising and computing will be piloted in priority settlements in Gauteng (Reiger Park, Ennerdale, Orange Farm), the Free State and Eastern Cape. An outcome of the NSFY initiative is for young people to be able to enter the formal or informal sectors with marketable and relevant skills. The NSFY launch provided an opportunity for government, business, skills centres and civil society organisations to discuss the fundamental challenges of and potential solutions for the youth employment predicament, with a focus on workplace-based learning. Prof Peliwe Lolwana, a leading researcher in the field, challenged participants to consider innovative approaches to training for unemployed youth to work in the informal sector. According to Lolwana, most South Africans will rather be unemployed than employed in the informal sector. This leads to conflict when entrepreneurial foreigners take up this space. To provide greater context to her statement, Lolwana compared the “informality” in India, which is at 84%, while in South Africa this is only 33%. The use and access of technology in training for youth that fall in this category was also highlighted as an important consideration. Marc Hussey , joint Senior Country Officer and Global Corporate Bank Head for J.P. Morgan in Sub Saharan Africa, closed the event by highlighting the implications of lack of workforce training on South Africa’s long-term development and “the critical need to increase labour market productivity and create better economic opportunity”. Hussey emphasised the global banking group’s approach to sustainable philanthropy that draws on local role players that work in partnership to support local communities, and specifically, unemployed youth. Key lessons from NSFY will be taken to scale the pathways needed to develop new skills for youth in South Africa. The state of youth unemployment in South Africa is concerning: According to Statistics South Africa (http://www.statssa.gov.za/?p=1034), a quarter of the labour force cannot find a job, 71% of those unemployed are youth aged 15-34 and 30% of those between 15-24 are not in employment, education or training. The percentage of young women without work is higher than that of young men. The 2011 Census indicated that only 4% of youth choose a vocational route (Post-school education: Broadening alternative pathways from school to work; Branson, Hofmeyr, Papier and Needham) resulting in a lack of employable skills which exacerbates the situation, with a great majority of youth having never worked at all. There is thus a pressing need to accelerate and facilitate young people’s transitions into economic activity, particularly for those young people who are vulnerable to poverty and long-term unemployment.